1. The GSTN system including its creation, up-dating, up-gradation, maintenance and supervision should be the responsibility of Central Government. This will include entire network, computer nodes, hardware and software to be used at all levels by all stakeholders. This can also be available in different regional languages. The GSTN portal should be so developed so that all stake holders can use the software to meet all filing and reconcillation need and are not required to depend on costly hardware or software or technical support. 2. The Ground level VAT administration including in respect of CST was always with respective State governments and can continue to be the same way. All existing central Government revenue officials and their team can be transferred to State government roles to be submerged administratively and to supervise the junior levels. The State Government senior officials can also be part of same designation levels as may be equivalent. Excise duty is an important levy and supervision of manufacturing sector as specialised experience will also be with entire team. This could be a system similar to the police department, where IPS officers administratively report to the State government under same supervision from the Home ministry. 3. The entire team at state level should be functionally responsible to Central as well as to State government. The administrative control can vest with the State. The Central government can have powers of transfer, promotions of all the Central Government revenue officials from one state to another and the GST council can also define their role and responsibility at various levels. 4. The entire cost of the manpower at the Central and the State government can be shared in an equitable manner (may be in the ratio of revenue earned). 100% electronic interface between department and taxpayer- registration, returns, assessment, review, rectifications, refund, rebate, amendments, payments, surrender of registration and grievances handling No inspector or physical inspection of any kind at the premises neither of taxpayer nor to call for physical records at the department. A Comprehensive GST Audit Report by Chartered Accountant Tax Audit report under Section 44AB of Income Tax Act can be included as two separate portion. This will help comprehensive 360° review. Least additional cost to the taxpayer. Reconciliation of GST returns with the financial statements and comprehensive GST reporting, duly verified from the books of accounts by the auditors. To ensure no Audit is undertaken by GST officials under any circumstances. In complex or deserving cases special Audit by Government appointed CAs can be undertaken, fee to be paid by the Government. All returns are to be accepted as it is. In sample scrutiny cases (1% or less), all questionnaires are to be sent and responded electronically. Similar to Income tax law, as being implemented. 6. 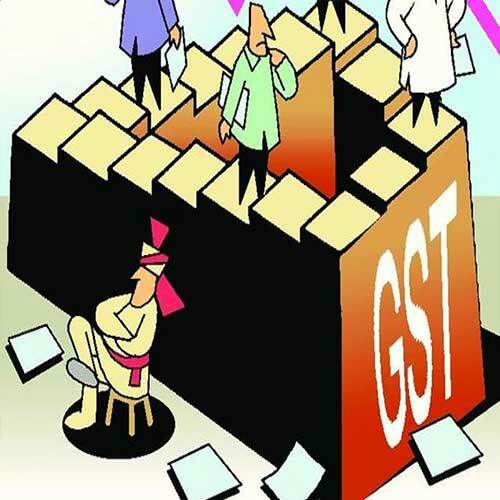 A Central team can be constituted by the advice of GST Council to monitor interstate movement of goods and their proper tracking in GSTN. 7. Regular MIS to all Central and State governments. 8. Full access to GSTN Network and information to Central Government, State government and GST Council for transparency. 9. SGST collection to be managed by state Government and IGST as well as CGST should be the responsibility of central treasury, including compensation and reconcilliation. 10. Compliances, Procedures and reforms to be kept very low initially for ease of doing business and to meet standard of high integrity. Based on experience, new/revised mechanism can be brought in place to curb any misuse. 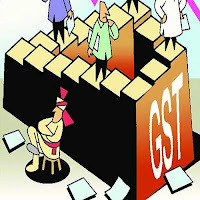 The entire State government GST machinery can be supervised for vigilance, revenue leakage, corruption and harassment by Central Government appointed CBI, Department of Revenue Intelligence, Economic Offence wing of State police and Vigilance Team of State government. The GST council and its secretariat at New Delhi to work in close coordination with Department of Revenue- Central Board of Indirect Taxes, Government of India regularly.